Elders/Pastors are men in the church who, according to scripture, are to devote themselves to the ministry of the word and prayer (Acts 6:4). Their qualifications are laid out in 1 Timothy 3 and Titus 1. Deacons/Ministers are men and women in the church who serve and uphold the ministry of the word and prayer by freeing the elders up to do devote themselves to the ministry of the word and prayer. Deacons and deaconesses do this by giving oversight to particular ministries and in so doing protect the unity of the church (Acts 6:1-4). Though Morgan was born and raised in inner-city Seattle, he has been a defacto New Englander for the past 18 years since he married into a New England family. Morgan first heard the gospel in his early high-school years, after his parents moved the family from Seattle to the corn fields of Pennsylvania. Elderly neighbors engaged him with the hope of Christ, and Morgan repented and believed. Many years later, after marrying Jess and beginning a family, Morgan worked at few different churches and planted a church just north of Pittsburgh. In 2015, he went on staff at The Village Church Denton, where he and a team of members were sent out plant Grace Harbor Church | New Bedford. Morgan and Jess have four children at home; Noah (16), Elli (12), Chloe (11), Meryn (5) and an adult daughter, Brianna (21). Morgan has a degree in Sociology from Edinboro University, and is finishing an M.Div from The Southern Baptist Theological Seminary. Luke was born and raised in Texas and heard the Scriptures preached faithfully from his adolescent years onward. He heard the gospel at children's camp and submitted by faith to the Lordship of Christ. Luke initially pursued a career as a musician and completed a degree in music from the University of North Texas. While pursuing his degree, Luke began working at the Denton County Jail, eventually occupying the office of Chaplain. Luke served as the Denton County Jail Chaplain for 7 years and is immensely grateful to the Lord for the training and experience he received while ministering in that environment. During his tenure as Chaplain, Luke began seminary studies where the Lord called him to pastoral ministry and birthed in him a burden and love for New England. 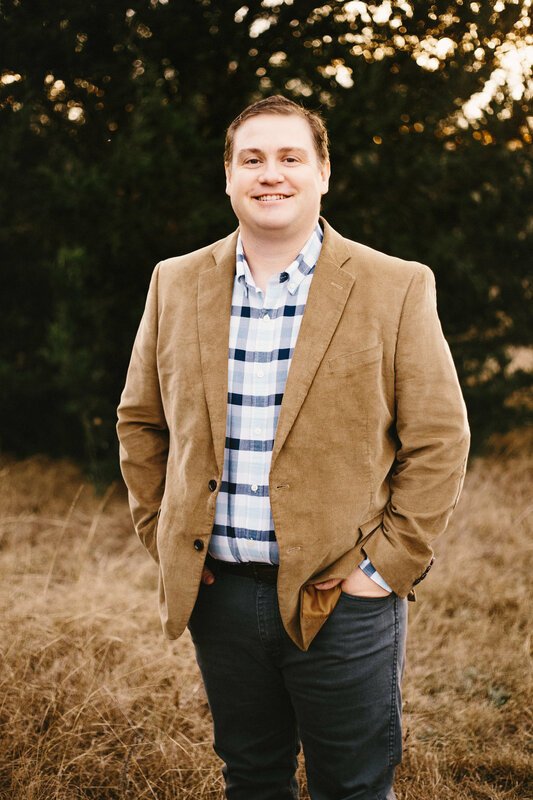 In December of 2018 Luke completed a Master of Divinity from The Southern Baptist Theological Seminary. He first met his wife Dominee in the third grade on the bus headed to children's camp. Years later they would marry, and now he and Dominee have three sons, Augustus (9), Rufus (6), and Virgil (4).